Surprisingly, there are still plant species waiting to be discovered in the Iberian Peninsula. Some are detected thanks to the latest study methods, and others, such as Linaria becerrae, are described when reinterpreting species which are already known. This new plant had been classified by mistake for 176 years in Málaga. 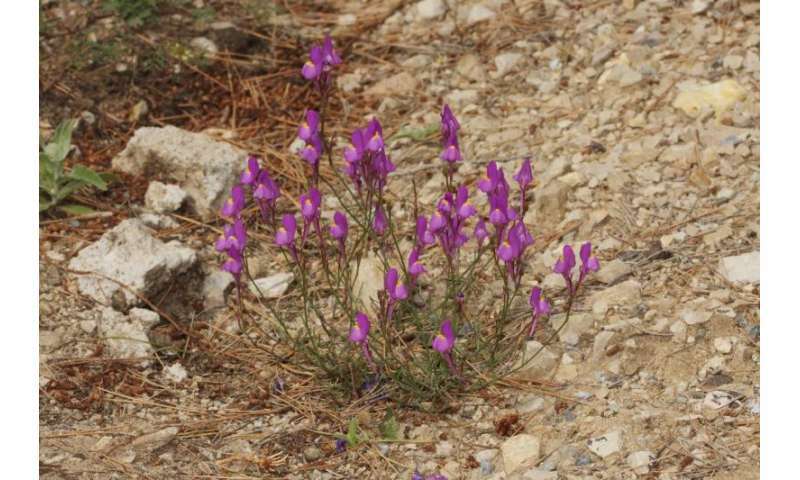 "These and other considerations led our team to the description of the new species, Linaria becerrae. By mistake, it had previously been considered that the species described by Boissier was that of Málaga," explains Gabriel Gabrielto, one of the authors of the study published in Phytotaxa and a researcher at the University of Granada, to SINC.